The Deputy President of the Senate, Senator Ike Ekweremadu, has expressed grief over the death of the former Vice President of Nigeria, Chief Alex Ekwueme. Ekweremadu described the death as a sad event for Nigeria and her democracy, noting that Ide Oko, as he called him, was a pillar of the nation’s democracy and the struggle for a restructured, just, equitable, and prosperous Nigeria. He said: “Dr. Ekwueme combined the uncommon toughness and courage of Heracles with the wits of Odysseus and Nestor. His fearless battle against military rule as the convener of the Group of 34 eminent Nigerians (G-34) can be likened toHeracles’ heroic encounter with the hydra-headed chthonic monsters. “Ekwueme was a fine gentleman and an epitome of politics without bitterness. Although he lost the presidential ticket of the Peoples Democratic Party (PDP), an offshoot of the G34 and pan-Nigerian political platform he built from the scratch, he remained faithful to the party in thick and thin until his death. “He will be remembered as a public administrator per excellence and a soldier of conscience. He stood by his people during their most challenging and difficult time, knowing that politics has a local flavor most of the time. He offered his undiluted professional service in the design and development of access to the air for Ndigbo during the civil war 1967 to 1970. As the Head of Planning of the Biafra Airports Board, the late prodigy built two functional airports in Ulli and Uga, while the airport projects at Mbaise, Ntigha Ngwa, Umuleri, and Arochukwu were at various completion stages before the end of hostilities. “Yet, as a detribalized and pan-Nigerian, he joined the National Party of Nigeria (NPN) rather than the Dr. Nnamdi Azikiwe’s Nigeria Peoples Party (NPP) in the journey to the Second Republic. He also did Ndigbo a great honour by facilitating the state pardon and eventual return from exile, and reunion of late Ezeigbo Gburugbu, Dim Chukwuemeka Odumegwu Ojukwu, with Ndigbo and Nigeria”. 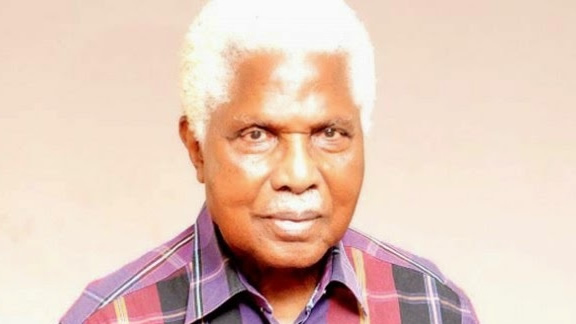 The Senator added that Ekwueme bequeathed a legacy of integrity and strength of character as “he was until his death reputed to have left Office as the Vice President of Nigeria poorer”. While condoling the Ekwueme family, Government and people of Anambra State, and indeed the entire nation on the great loss, Ekweremadu prayed God to grant the deceased a peaceful repose.